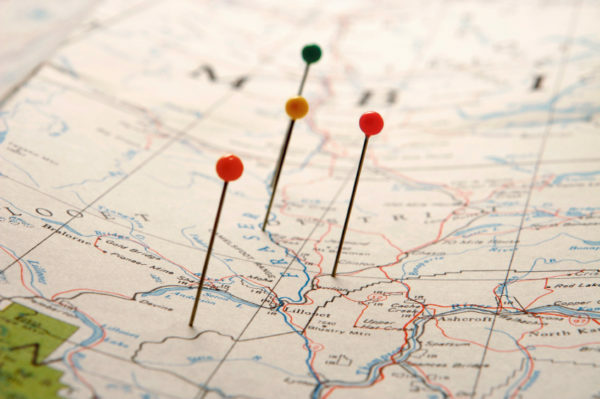 In Alcoholics Anonymous (AA), members talk about going for a geographical fix. What is a geographical fix, you ask? It’s the idea that if you’re miserable in NYC, you can fix your life by moving to San Francisco or some other place. Or if you’re unhappy in your relationship with John or Johanna, you need only dump them and go for Bob or Roberta and you’ll be happy. That doesn’t mean that you shouldn’t look at your surroundings or consider your choice of partner, but experience shows that you will bring yourself to that new city or relationship. And if you don’t know how to be happy, it doesn’t matter who you’re with or where you live. You still won’t know how to be happy. It’s just an attempt at an external solution to an internal problem, and is doomed to disappoint. You may be amazed to know how many people begin therapy looking for that geographical fix, whether it’s a different part of the country or a different bed. It’s the “I’ll-be-happy-when” syndrome. If you don’t know how to be happy now, you won’t be happy when you’ve lost those five pounds, gotten the promotion, signed the client, or gotten the youngest child off the family payroll. Your clothes will fit better or you’ll have more money, but those are just external improvements and you will still be unhappy, if you don’t know how to be happy from the inside out. Are you looking for an external solution to your lack of satisfaction in life? In therapy you can learn to be happy from the inside out, so you don’t fall for the lure of the geographical fix. If you’d like to learn more, reach out to me here. I look forward to speaking with you.